This product from ChessBaron: Separate all of the pieces. But then can you rebuild the Panda Carrier? 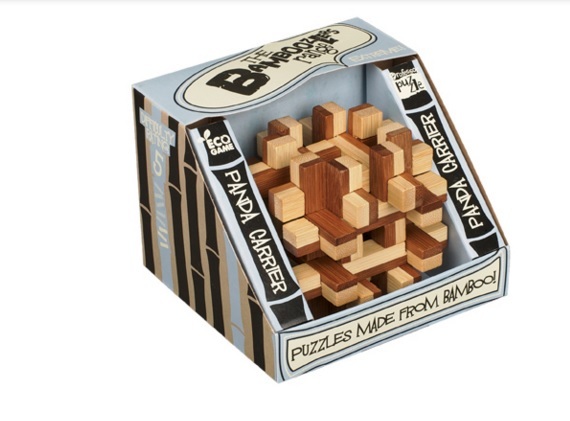 Puzzle info - Finding the way to pull this puzzle apart is not easy at all. But it is Panda-play compared to rebuilding it. A highly complex puzzle to master. Only for Ninjas. Or Black Belts. Or Pandas.